Yesterday my family, boyfriend and I came back home from a three week holiday to Tanzania which has probably been one of my most impressive and best travels ever. 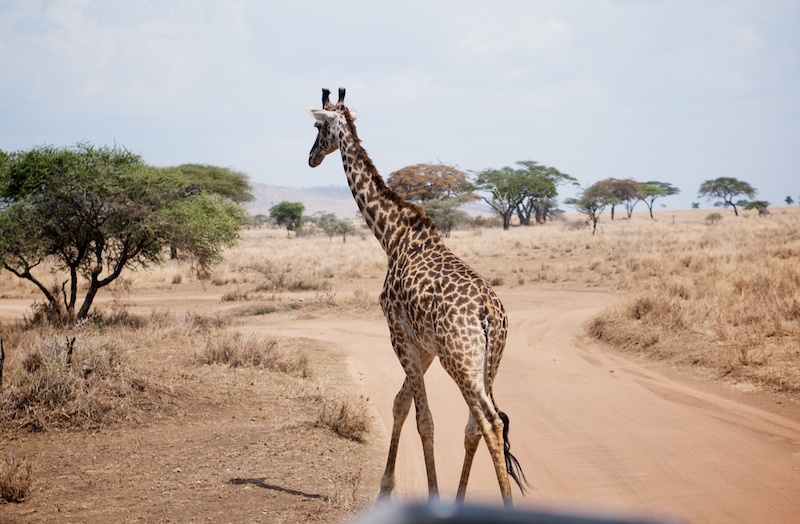 Our journey started with one and a half week of visiting national parks like Serengeti, Lake Manyara and Ngorongoro Crater, followed by a mountain climb (we climbed mount Meru - which wasn't my favourite chapter, I'll tell you all about it soon) and one week spend on dreamy beaches in Zanzibar. Most of the time there wasn't any Internet or signal available so therefrom the radio silence on even my Instagram account. Anyway, we took over three thousand photos so we got a lot of catching up to do in the upcoming weeks! I really hope that you guys are enjoying summertime as much as I do? That's an incredible photo. Isn't Africa amazing! I recently travelled to South Africa, Botswana and Zimbabwe and completely fell in love with it. Wat leuk dat je daar geweest bent Anne! Benieuwd naar de rest van de foto's! Ahw wat ontzettend gaaf zeg! Ik ben heel benieuwd naar de foto's! I'm going to Tanzania in October. I only have the flight booked so far, not the safari. If you have any specific recommendations I'd love to hear! I'm lost. Ik zag nog maar pas een docu over Tanzania en de Serengeti en Tim en ik zijn om! Wow what an amazing adventure and photo. Can't wait to read about your trip once you start posting. Prachtige foto. Wat gaaf dat je daar bent geweest.